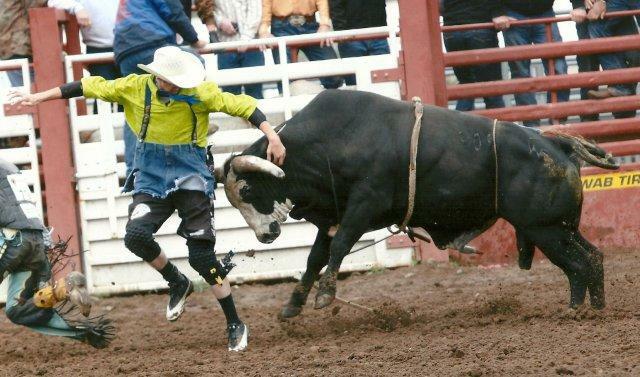 August 8 - 11, 2019 celebrates the 86th Annual Omak Stampede! We would like you to join us for a weekend of western entertainment that will be one of your fondest memories. From the Thursday morning ride-in to the Sunday running of the World Famous Suicide Race, you will enjoy an action-packed weekend. Highlights include Davis Shows Carnival, Wrangler Kids Night, Indian Encampment & Pow Wow, Western & Native Art Show, Rodeo Dances and Vendor Row, Omak Stampede "Company Store". As well, Omak Stampede continues to support the Tough Enough to Wear Pink Campaign.